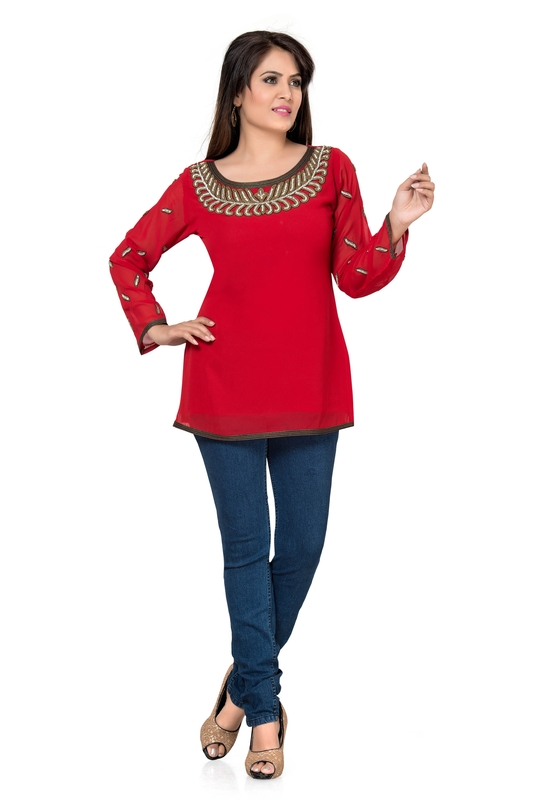 Captivate all hearts and eyes that set a look on you when you are dressed up in this this amazingly deigned Remarkable Red Exclusively Party wear Tunic Top. The scoop neck of this short georgette tunic top is decked with eye candy dabka and bead work appropriate for Indian occasions. 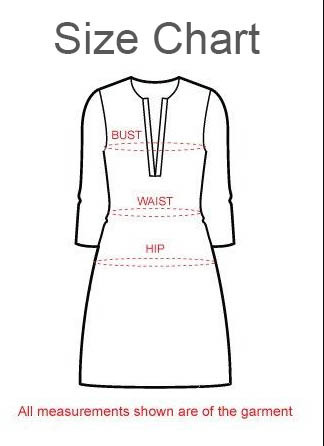 Small motifs of similar embroidery also line the full sleeves of the small top. A dull gold taping on sleeves and base of this kurti makes it look nothing less than ravishing.